When you get engaged, chances are the entire process is completely new to you. From signing legal-binding contracts to finding someone to seamlessly handle your wedding from afar and all the “to-do’s” in-between, it can feel a bit overwhelming at times. We’ve enlisted the help of our industry’s finest planners, whose expertise is planning weddings away, to help you sort out some of those tough questions. to each client — showcasing who they are as a couple. 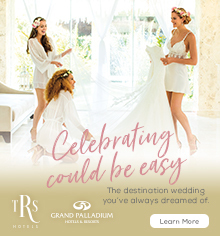 Is it standard to pay all or part of the planning or design fee before a destination wedding occurs? Or, should I be paying all of it when the wedding takes place? You should pay a deposit when you sign the contract, the balance before the wedding and then approved overages upon the return. Should I expect to work with any vendors directly or do you handle all the correspondence and payment? We handle all details and correspondence, but allow the client to pay vendors directly or we will do it, whatever feels best. 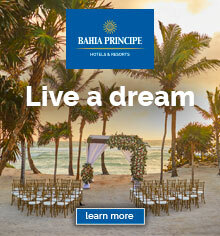 Known for: Amazing attention-to-detail and producing one-of-a-kind events. This company makes sure every guests’ needs are met and they are having the time of their lives in whatever destination they are in. What are items couples should ship for their wedding abroad? We suggest to all our clients not to ship, but instead, to assign a large suitcase to be the "wedding loot case" for anything which may be hard to source locally (DIY crafts, décor, stationery etc.). The cost to bring one extra suitcase (up to 50 pounds) is $50 on most international flights. The cost to mail a package of the same weight to many foreign countries would be five times that cost. How do you know if you’re the right planner for the couple? What do you look for in selecting couples you work with? I think the style of previous events planned and esthetic is a huge deciding factor for many couples. I also highly suggest setting up a call to see if personalities mesh well. We interview our clients as much as they interview us, making sure we are like-minded, have the same style, taste…basically we all want to know if we would have fun if we hung out together. I put myself in their shoes…if I am going to entrust someone to throw me a great party, I want to feel like they get me and how I envision fun. I feel our clients need that and we want that connection for our clients. Known for: Being a creative and innovative boutique event production company that loves to create memories that last a lifetime. They take the ordinary and make it extraordinary. How much does a destination wedding planner cost? Is it a percentage of the overall budget or is it a flat fee? Most destination wedding planners charge an overall percentage of the entire event. The price we typically see ranges from 15 to 20 percent. What should couples expect from a destination wedding planner? You should expect someone who is experienced working in the location you have selected and well-versed in the travel industry. I happen to have a travel background, so my knowledge of the ins-and-outs of airlines and hotel negotiation is quite extensive. Destination planners must know the area and be aware of the seasons and any pitfalls. They not only take on the couple as the client, but the guests as well. So knowledge is power. a lot of heart. It is Michelle's keen curiosity about the world and how aesthetics, cultures and hospitality intertwine which make her weddings something to talk about. At what point should a couple hire their planner? From the day they get engaged or after they find the venue/destination? to do this before you actually start signing contracts. On the opposite end of the spectrum, we are often brought in as the "clean up" crew just a few months before the event. Clients often feel they can produce the event on their own and once they get into it, realize it is a daunting task. Michelle, describe your dream client. Is it someone with lots of ideas or someone who gives you complete creative freedom and why? Our dream client is our partner – they relay their vision, their worries, and their dreams and trust us to provide them with the best solutions. This kind of relationship allows us to do what we do best. This client is energetic about the planning process and happy to do “homework” to help us get a sense of direction, but also happy to let us take the reins to get it done and to shield them from the stress. 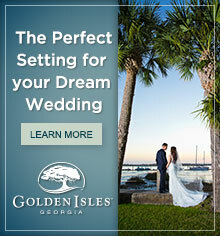 Known for: Planning destination weddings all over the world. Being based in Chicago also allows Ali Phillips to plan great Chicago weddings. 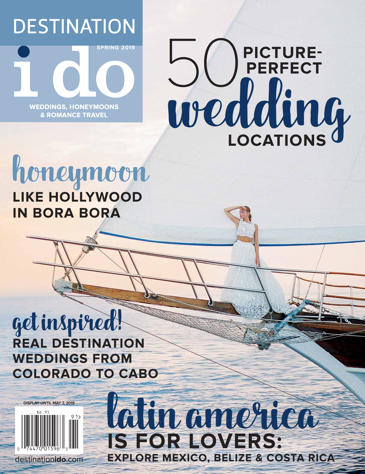 How do you know if you need a destination wedding planner? If you are looking to have a professional do all the research in a country/culture you are not familiar with, I recommend hiring a destination planner. Want things to go smoothly and be a guest at your own wedding? A planner will also handle the logistics for all of the events and be with you on the weekend of the wedding to ensure everything goes as it should. it comes to planning their destination wedding? Couples sometimes do not realize that properties can have added fees like resort fees, bartender fees, lighting fees or service charges – not only on the quotes they receive for food and beverage, but also for hotel rooms for their guests. Also, often couples do not understand the policies and procedures on what vendors they can or can’t use for their chosen venue. When they are signing a contract, it’s important to look at the specifics. In the Bahamas, for instance, couples may think they pay the “young adults” price for everyone under 21, but because the country’s drinking age is 17, those guests will be priced as adults. Lighting is also something couples need to think about for their events. Once the sun sets, what lighting does the property have...or do you have to bring in additional lighting? That can add cost, so it’s important they know up-front. Also, keep an eye on sunset times, some places don’t change time zones, so it’s important to know. What advice can you give engaged couples to help them avoid making these mistakes? Hire a destination planner who is experienced and knows the right questions to ask the properties. If they are not able to hire a planner, make sure to “read the fine print” and ask the correct questions to fully understand the policies and procedures at the property they select. I would also tell them to get an estimate for their event as part of their contract so they can see all the fees with taxes and service charges added in. Photos (in order of appearance): Brian Leahy Photography (1st), Carla Ten Eyck (2nd), Tropical Occasions (3rd), Fifth Avenue Digital (4th), Bellathée Photography (5th), and Sarah Alair Photography (6th). Antwerp has all the makings of a romantic fantasy: historic European charm and mouth-watering cuisine. Los Cabos has it all: proximity to the U.S., sea surroundings, hotels, nightlife and best of all - adventure. 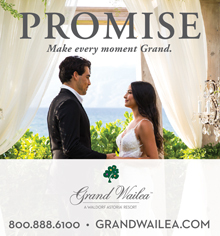 This honeymoon classic is reinventing itself in a way that honors its timeless passion. It wasn’t until a trip down to Mexico, that the couple decided their destination wedding.